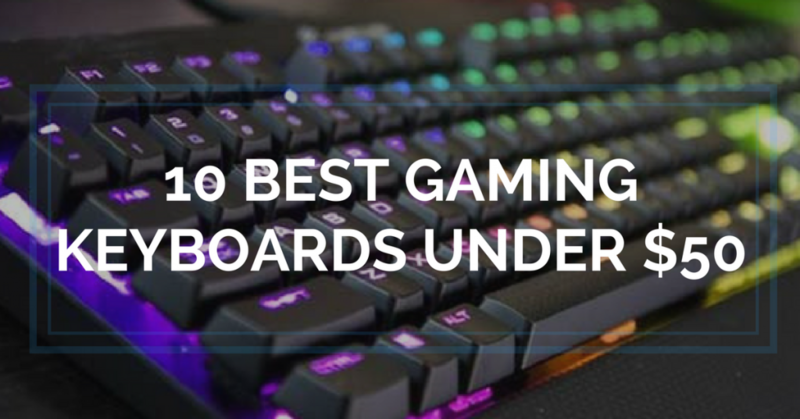 If you are a game lover, you might consider getting any of the keyboards below to make the fun more interesting. These gaming keyboards are extremely cheap and they are worth checking out. For the gamers, coders, writers and editors out there, the Redragon K552-R KUMARA is the best option for any of your needs. It is relatively cheap and extremely reliable, built and designed to function perfectly for gaming PCs and laptops. 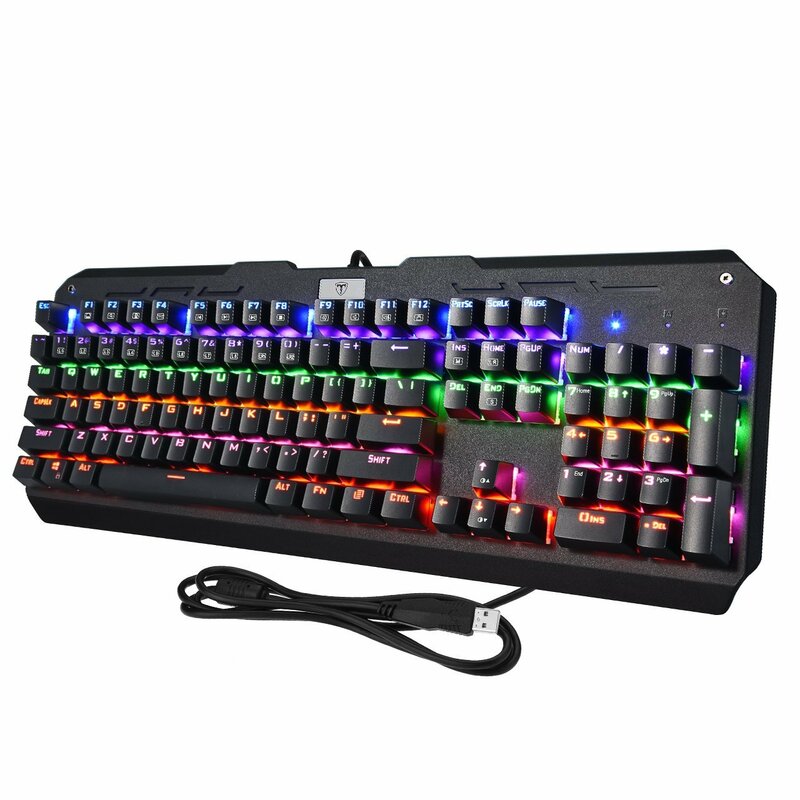 It has a lot of cool features that would surely get your attention; such as the 87 double-shot injection molded keys with different colored LED backlights throughout the keyboard. This keyboard has no number pad, however, and its compact size comes with an added advantage of saving space and portability. This makes your keyboard handy to carry around for all your gaming needs. The keys are free of conflict and are fully anti-ghosted. 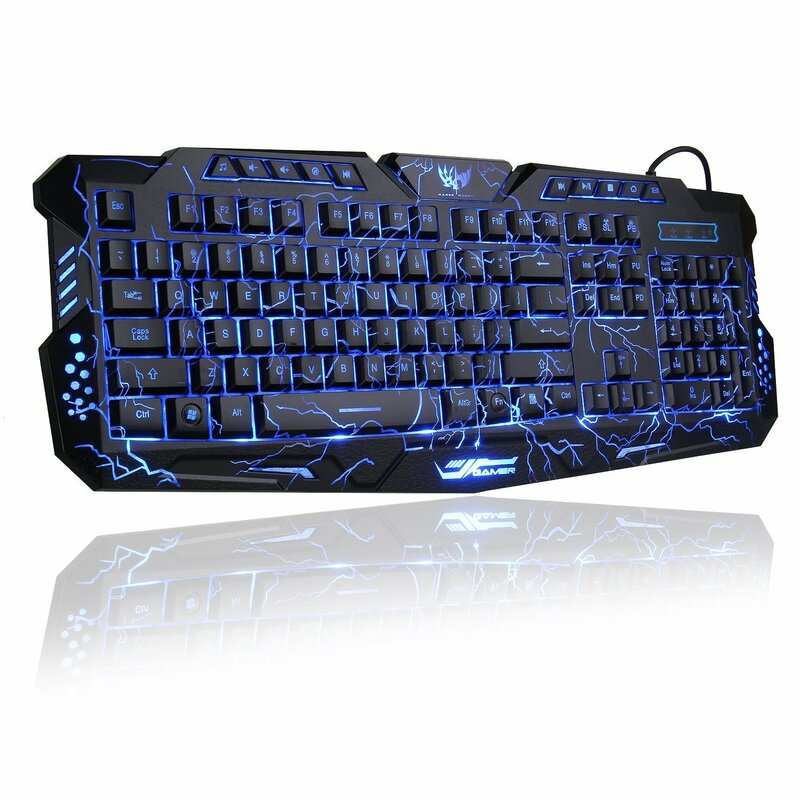 Its keys are custom mechanically made to make it the most superior keyboard for gaming. This remarkable keyboard is equipped with an intuitive backlighting mode and anti-ghosting to give you an outstanding gaming performance. It comes with six dedicated macro keys, multi-key and media control, as the keyboard allows you to customize controls easily. This means that the macro keys are fully programmable and the multimedia controls allow you to access the game audio directly, without stopping the game. This keyboard is quite outstanding as well as efficient in its function, and comes with a detachable rubber wrist support to prevent the strains of playing for long hours. The most amazing feature is the ability to dedicate any of the six macro keys to single stroke functions or complex multi-key combos. Another great thing is the quietness of the keys and their top notch responsiveness, which can compete in the big leagues of gaming keyboards. 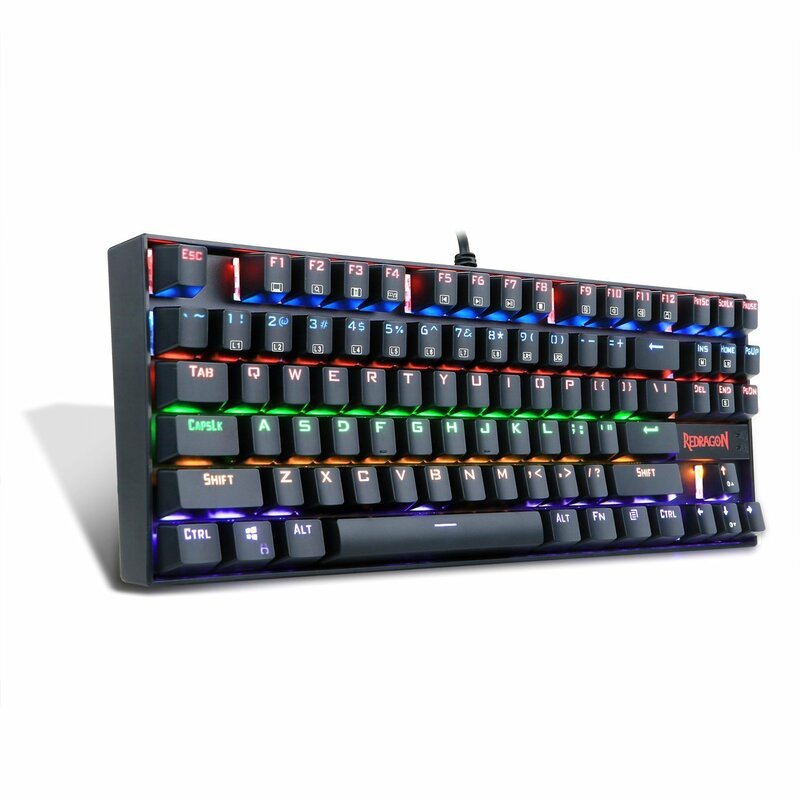 This colorful keyboard is one impressive gaming keyboard that you should definitely check out. It costs less than $50, and offers a lot of cool features that would keep you awake. Its look is one of its most interesting features. But not only does it look the part, it plays the part too. It is very durable and comes with USB wiring and other high-quality components. 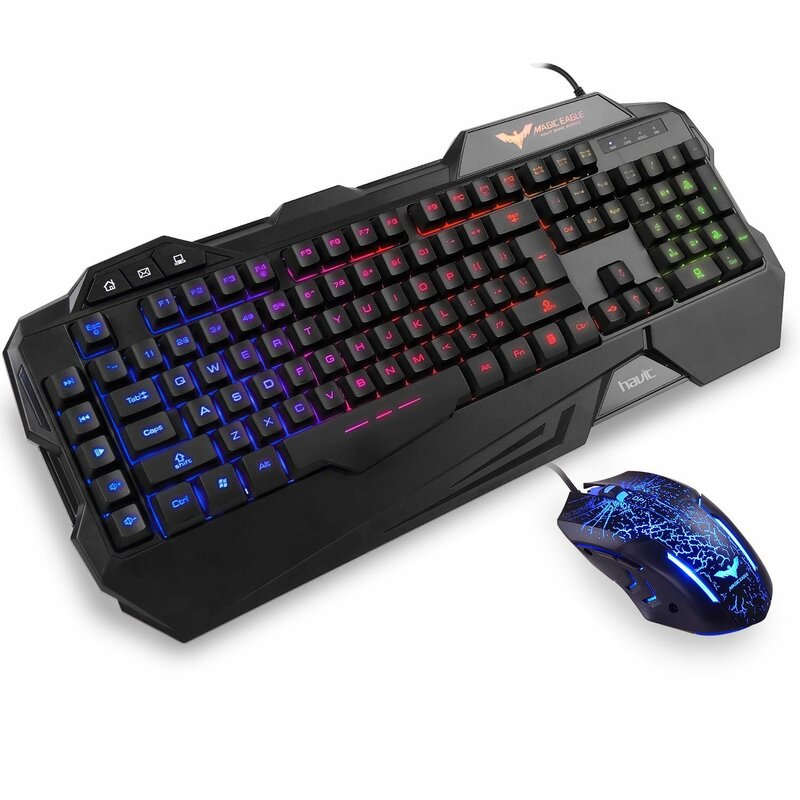 Its design is out of this world as it depicts a cracked surface design, and a tri-color LED backlight that allows you to see the combos and strokes you strike on your keyboard. The keyboard is also packed with a collection of 10 multimedia hotkeys that are located at the top of the keyboard. They allow you access your multimedia without disrupting your gameplay. Be prepared for a combo set of a mouse and keyboard. Each of the two has its own name. The keyboard is called the Vajra, and the mouse is Centrophorus. The keyboard consists of a variable speed control for typing which you can toggle on and off by holding the FN key and the Q key. It comes with 12 media keys also, which are activated with the FN key and the F keys from 1 to 12. Its direction keys are removable to utilize the WASD as the direction keys, and vice versa. The mouse, Centrophorus, comes with weights to ensure balance throughout gameplay. 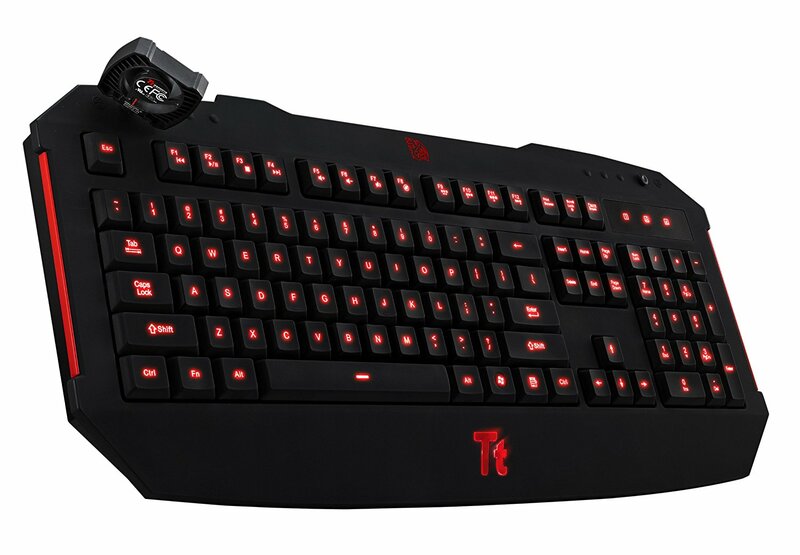 This solid but light-feel keyboard is designed specifically for gamers. It comes with a lot of features that are customizable to suit the users’ taste. It is black and white with keypad backlight colors that come in a multitude of color options you can pick from. It has been driven, and so does not require any plugins or driver for the USB. The cable is about 160cm, long enough for you to take any position during gameplay. Cool enough, it has 10 programmable keys for any game or media and a 2-level high quality supporting foot. The 19 anti-ghosting keys allow you enable the free gaming control setting. This keyboard is the latest design in the challenger series. It is shaped like a rubber dome and comes at an affordable price. Its structure is made to be angularly styled and membrane-based to ensure it is lightweight and easy to use. This model of the challenger series has the best features set compared to the rest. Its price tag makes it one of the top class, yet economic gaming keyboards you can find on the market. This device has a lot of great features to get used to, and its rubber wrist rest is detachable to be used at will. This combo is designed to give comfort without lacking efficiency in performance. It is designed flat with an ultralow profile to aid convenience, with a large mouse wheel for ease of use. This ultra low profile reduces strain, while the rubber pads prevent slippage during prolonged and heated gameplay. 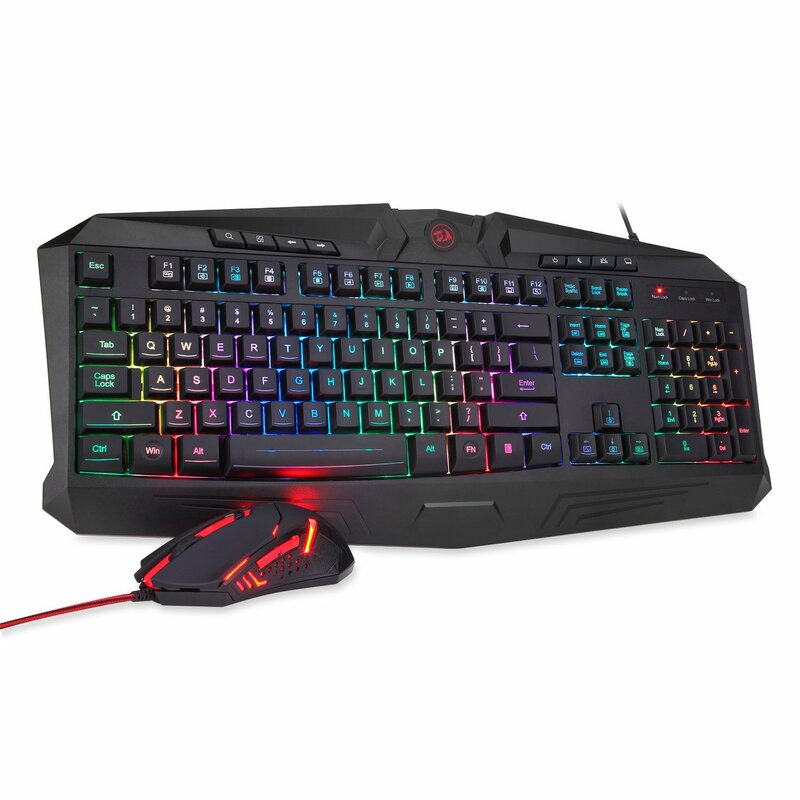 The backlight of both the keyboard and the mouse are compatible with RGB and you get to choose from seven different backlight options. The rubber side grips on the mouse are to prevent wear and tear, and also ensure stability. The keyboard keypads are laser etched and grip coated to ensure wear and tear are at their minimum as well as provide optimum functionality. It is really hard to find Chiclet keyboards and gaming keyboards that overlap or sync, but demand has led to possibilities where it seems impossible. 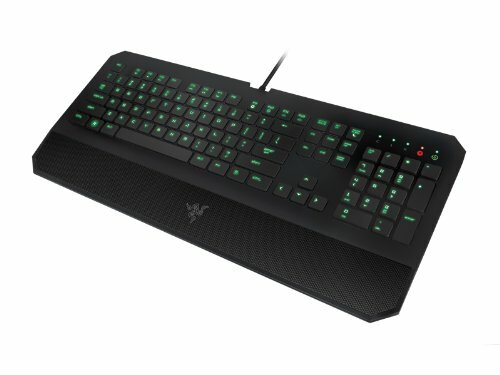 The Razer Deathstalker is one of the few, if not the only, Chiclet gaming keyboard you would find on the market. Most gamers prefer mechanical keyboards during gameplay due to their feel on the fingers and response to touch. The Razer Deathstalker is well spaced to ensure the keys feel more responsive than most membrane keyboards out there. Its illumination is superb and you get to choose between pulsing or steady light features. This sleek keyboard looks like one designed for adolescent males, but once you can get past that and consider its features, you are good to go. This aluminum keyboard with ABS construction feels sturdy and strong. It looks professional, considering its design and all the other features it possesses. It claims to have a 100% anti-ghosting feature, which speaks volumes of its competition with gaming keyboards in the $50 price range. It is a mechanical keyboard that produces an audible click sound and tactile feedback when pressed. This bouncy feel ensures that you are certain of your clicks. You can customize the LED lights and also control its brightness as well as the continuation of the lighting. This keyboard has 104 anti-ghosting keys and an N-Key rollover, which enables multi-keys to function simultaneously without disturbing each other. 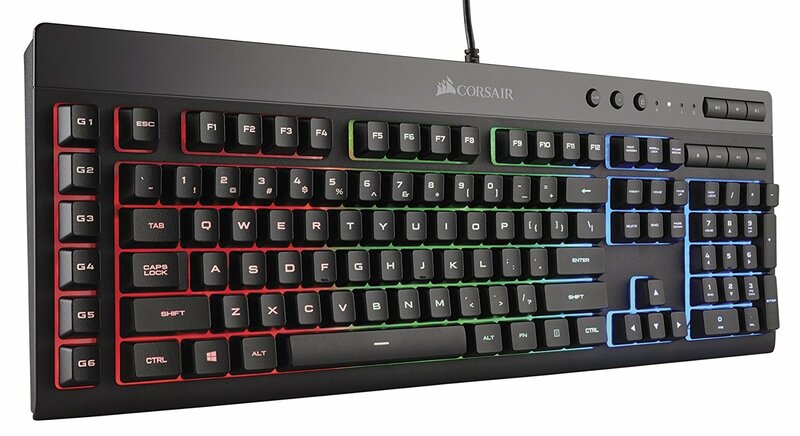 This allows you enjoy whatever you do with the keyboard, especially gaming and typing. 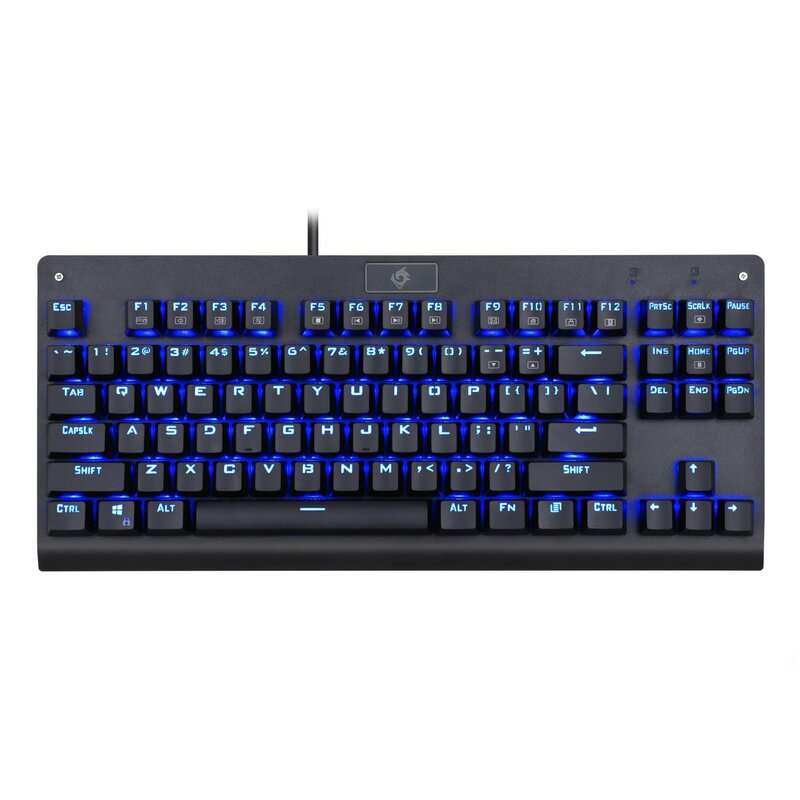 The blue switches give a click sound and tactile feedback to ensure typing speed and accuracy. This gives the user an edge over competitors by featuring a device that has an accurate response. Its FN keys allow you to easily access the controls of the media, calculator, email, web browser and others, without disrupting the game. 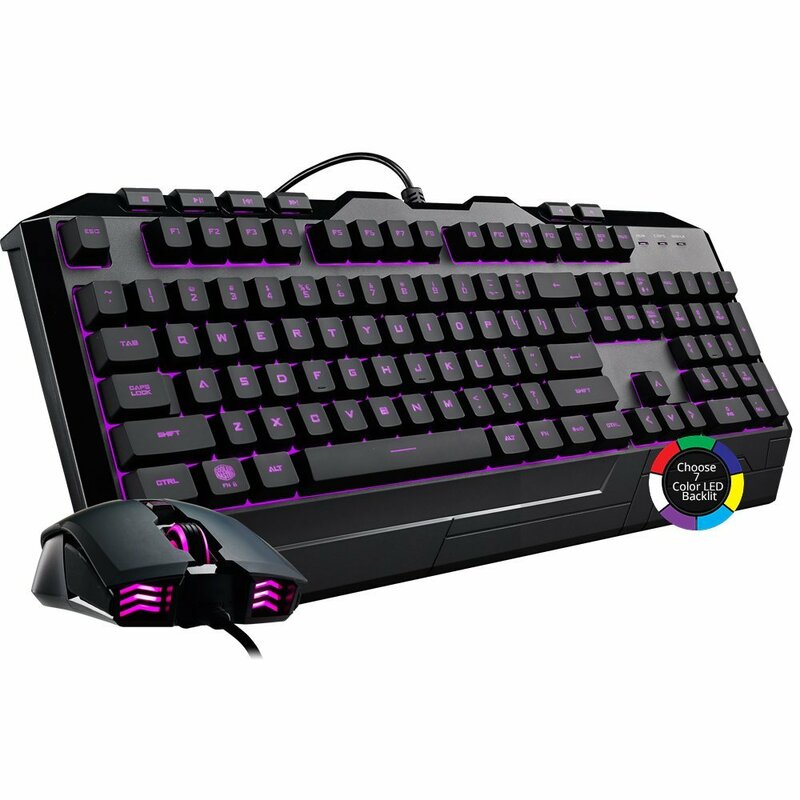 This keyboard is built with excellent quality and efficiency to ensure a superb gaming experience. In conclusion, don’t choose your keyboard based on looks alone. Gaming keyboards are very colorful, so it’s tempting to choose based on appearance. Rather, look at the features offered first and then choose a colorful design.